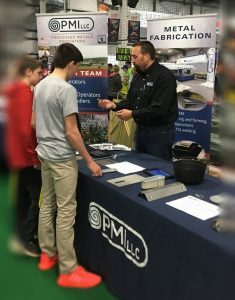 Area Students Explore Careers with PMI and Other Businesses at Career Venture! Students from middle school through high school from nearly 35 area schools came to learn about a variety of careers at Workforce Resource’s Career Venture. The event was held at the Eau Claire Indoor Sports Center Thursday, May 4th. 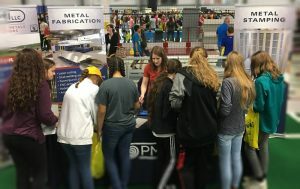 PMI showcased careers in manufacturing and engaged students with the "Guess the Material" game!